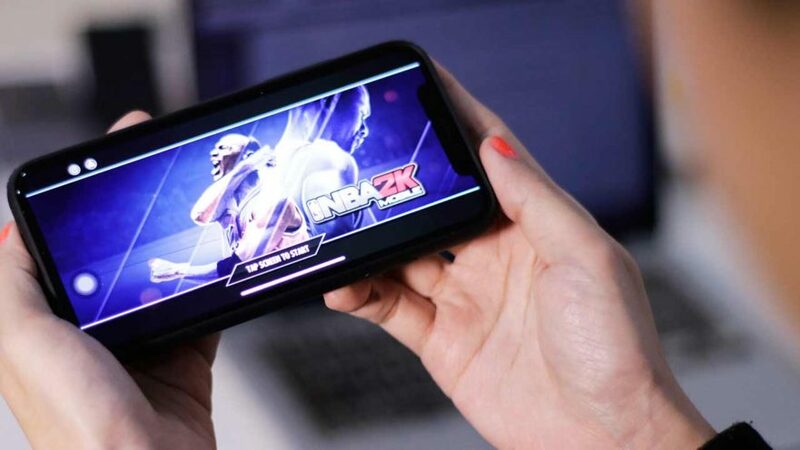 NBA 2K Mobile is out now for iOS devices, bringing a new arcade-style basketball game with card mechanics to the platform. The game is free but comes with in-game ads and micro-transactions and requires an internet connection to play. NBA 2K Mobile is essentially a mix of two existing apps — NBA 2K18 and MyNBA 2K18. It’s honestly more of the latter, which is to say that your enjoyment of the the game will largely depend on how patient you are, or how far you are willing to reach down your pocket to upgrade your team and equipment quickly without wasting away precious hours. NBA 2K Mobile is essentially a mix of two existing apps — NBA 2K18 and MyNBA 2K18. Of course, it being a card game, luck is involved, as actual NBA rosters — though constantly changing in real life — have been chucked out the window. Our Cleveland Cavaliers squad is currently composed of benchwarmers from around the league. Our best Cavalier isn’t named LeBron James but Bojan Bogdanovic, who starts for the Indiana Pacers. Full disclosure: We had to Google the Pacer’s latest depth chart because we’re not sure if he comes off the bench or is in the starting lineup. In NBA 2K Mobile, you have to literally play the cards you are dealt. Our best Cavalier isn’t named LeBron James but Bojan Bogdanovic, who starts for the Indiana Pacers. The general pace of matches on NBA 2K Mobile is realistic. As for the actual game of basketball, it’s surprisingly authentic and identical to what the NBA 2K series delivers on mobile devices. Some player models and textures look odd in places though fail to blemish the in-game presentation; the animations look fantastic; the general pace of matches is realistic; and even when the action peaks, the frame rate remains stable. NBA 2K Mobile is surprisingly authentic and identical to what the NBA 2K series delivers on mobile devices. The touch-based controls are tight and responsive, too. But compared to NBA 2K18, they have been slightly streamlined to appeal to casual players. Also, there are no camera options to improve your gaming experience. You’ll need an Apple App Store account based in New Zealand to download and play. If you don’t have one — which is likely the case — you can create a New Zealand-based App Store account or quickly switch to the country’s store version using an existing account. You’ll need an Apple App Store account based in New Zealand to download and play NBA 2K Mobile.